Sculptra is a sculpting agent that is a revolumizer: it restores volume to correct the signs of aging by reversing areas of fat loss and sagging skin. It has been approved by Health Canada for the treatment of wrinkles and will change our approach to treating facial aging. It has already been used safely with excellent results in Europe in more than 150,000 patients. 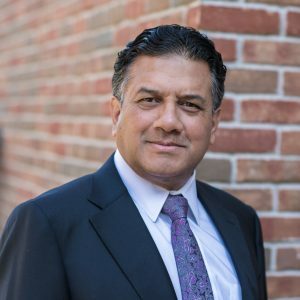 Dr. Kesarwani is one of a select number of Canadian plastic surgeons who has been shown these advanced techniques by the European physicians. He is currently one of the original certified trainers for Sculptra. Dr. Kesarwani has trained other doctors and nurses in performing the Sculptra treatment for over a decade, beginning from when it was first introduced to Canada back in 2008. He was also one of the few plastic surgeons across the country involved in a clinical study to document Sculptra as an aesthetic filler. Facial fat loss, or lipoatrophy, is the loss of fat under the skin, which can cause sunken cheeks, indentations or hollow eyes. Sculptra is a safe, synthetic material that is injected below the skin surface in the area of fat loss. It provides a gradual increase in skin thickness, improving the appearance of sunken areas. Sculptra is a material that has been used for many years in dissolvable sutures and implants. It is injected below the surface of the skin, where it triggers a natural reaction for the body to lay down it’s own collagen. The Sculptra itself disappears, but it stimulates the body to restore volume where it was injected. This revolumization will result in a filling of hollows and wrinkles and an improvement in skin tone, laxity and elimination of sagginess in the jawline and other creases. Usually three to four treatments are required, each four to six weeks apart to achieve complete correction. The effects of the treatment will last at least two years. This is different from traditional fillers that fill in wrinkles and folds in that it is a three dimensional filling and reshaping. Dr. Kesarwani offers all the rejuvenation options available and will discuss and be able to help you decide which treatment plan is right for you. If you’d like to learn more about the Liquid Face Lift procedure, Contact Us Now to book your confidential appointment with Dr. Kesarwani. Dr. Kesarwani can also show you before and after Liquid Face Lift photos from patients he has performed the procedure on previously, during your consultation.